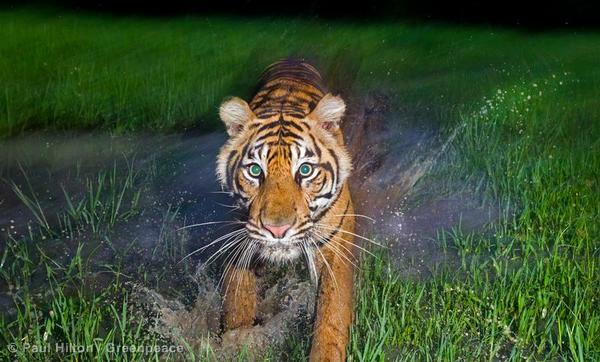 A semi-wild Sumatran Tiger (Panthera Tigris Sumatrae) is seen at the Tambling Wildlife Nature Conservation rescue centre, which is part of the South Bukit Barisan National Park. Wilmar International, the world’s largest palm oil trader today announced a NoDeforestation Policy in response topressure from Greenpeace, NGOs andconsumers around the world. The policy has the potential to be a landmark winfor the worlds forests andthe people that depend on them for theirlivelihoods. 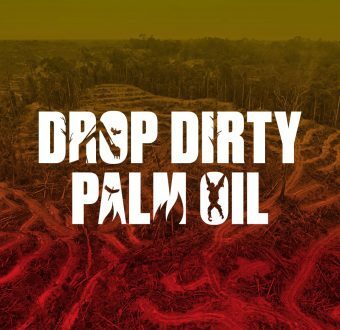 Wilmar has responded toyears of pressure from Greenpeace, other NGOs, and a growing movement ofconsumers around the world demandingclean palm oil and an end to forestdestruction. Wilmars commitment to No Deforestation has the potential totransform the controversial palm oilindustry. Wilmars policy shows thatthe sector has a massive problem, and while this policy is great news forforests and tigers, its success will be judged byWilmars actions to implementand enforce it. Our challenge to Wilmar is this: will it now immediately stopbuying from companies such as the GandaGroup, which is closely linked toWilmar and is involved in ongoing forest clearance, illegal peatlanddevelopment and social conflict? Over the last seven years,Greenpeace has repeatedly exposed Wilmars role in gross acts of forestdestruction; sourcing from national parks,destroying prime tiger habitat,sourcing from suppliers linked to orang-utan graveyards or this years forestfire crisis in Sumatra, to name a few. For years companies,including Wilmar, have been hiding behind so called sustainability bodies suchas the Roundtable on Sustainable Palm Oil.Greenpeace will be closelymonitoring how Wilmar will put these words into action, and will welcomeWilmars immediate end to all trade withcompanies involved in deforestation.The gauntlet is thrown to other palm oil traders such as Cargill, Musim Mas andSime Darby to release similarpolicies, added Bustar. The palm oil sector is thegreatest single cause of deforestation in Indonesia. Ministry of Forestry mapsshow that Indonesia is losing some620,000ha of rainforest every yearbetween 2009-2011(an area greater than the size of Brunei).Palm oils expansion intoNew Guinea and Africa isalready threatening forests, sparking controversy andconflict with local communities. Wilmar Internationalaccounts for more than a third of global trade of palm oil. How did Greenpeace supporters help pressure Wilmar?